The spineless tropical cactus night-blooming cereus (Epiphyllum oxypetalum) produces spiderlike fragrant flowers that open in the evening. It grows in U.S. Department of Agriculture plant hardiness zones 10 through 11 and it doesn't tolerate any frost, but it grows well as a houseplant or as a potted outdoor plant that's overwintered indoors in colder climates. Night-blooming cereus requires only basic care and it is a relatively low-maintenance plant, whether grown outdoors or inside. Set potted night-blooming cereus plants in an area that receives all-day, filtered sunlight, bright but indirect sunlight, or morning sun and afternoon shade. Place the plants outdoors if temperatures are above 50 degrees Fahrenheit at night. In warm, frost-free climates, grow the cactus in a well-drained, slightly sandy garden bed that receives some shade. Water the night-blooming cereus when the soil surface looks dry, but before the soil dries out completely. 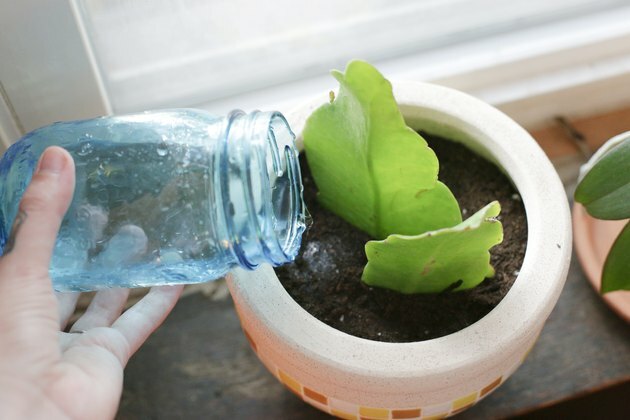 Sprinkle the water on the soil, keeping the cactus leaves dry, until excess water drains from the bottom of the pot or until the top 6 inches of soil feel moist in a garden bed. Water regularly from spring through early fall. Garden-grown and fully mature potted plants don't require winter watering. 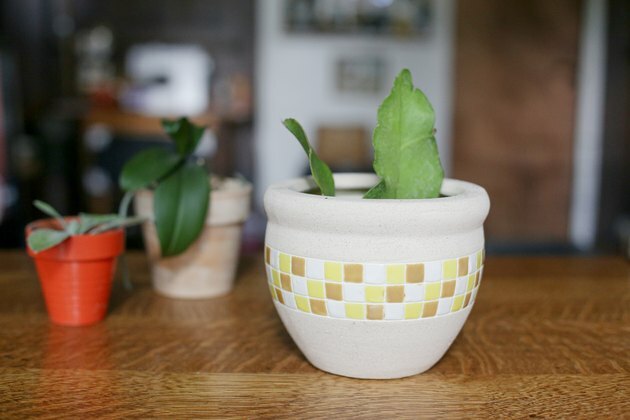 Water young pot-grown plants only when the soil dries in completely in winter. Properly watered cactus plants rarely suffer from stem rot or fungal problems. 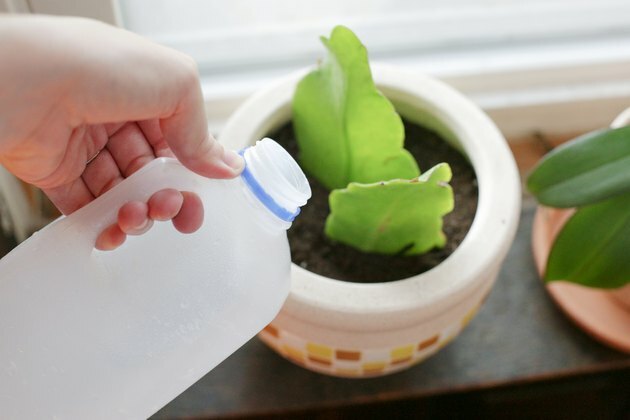 Mix 1/4 teaspoon of a balanced, water-soluble fertilizer, such as a 15-15-15 blend, or of a bloom-inducing fertilizer, such as a 7-9-5 blend, with 1 gallon of water. Water the night-blooming cereus with the fertilizer solution once weekly during the active spring and summer growing season. Check the label because rates vary among brands and use one-fourth of the recommended concentration. Cut back any overgrown or damaged leaf stems after the cactus finishes flowering. 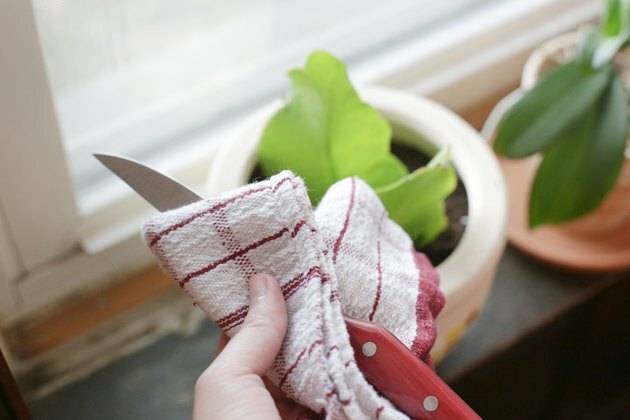 Wipe a sharp knife with a rag soaked in rubbing alcohol to disinfect it before making a cut. Cut through leaf stems cleanly, cutting them back to the desired height but removing no more than one-third of their length. 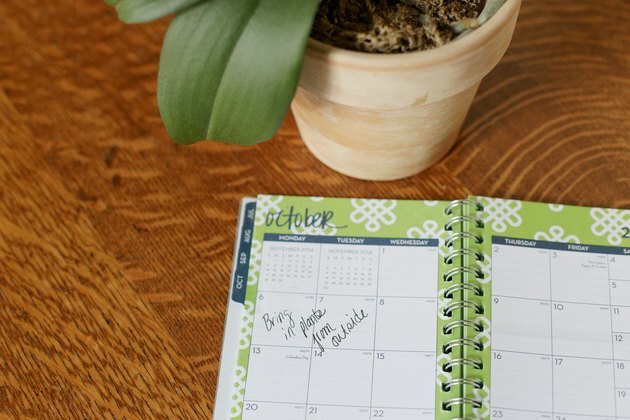 Bring potted plants indoors before the temperature drops below 40 F in fall or early winter. Temperatures below 35 F can kill the plant. 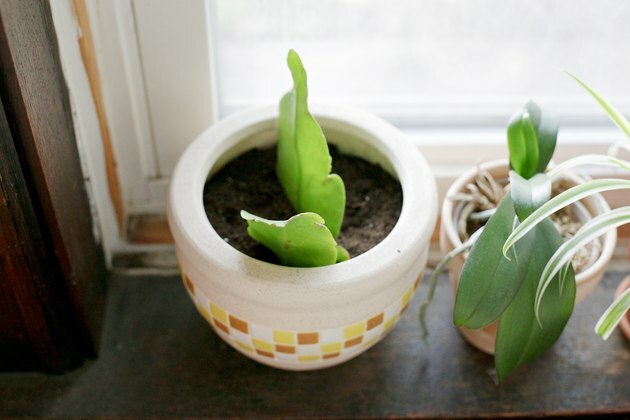 Place the pot near a sunny window and water sparingly when the the soil dries completely. Move the pot back outdoors in spring after frost danger has passed. Inspect the leaves for white cottony masses that can indicate a mealybug infestation, the primary pest of night-blooming cereus. 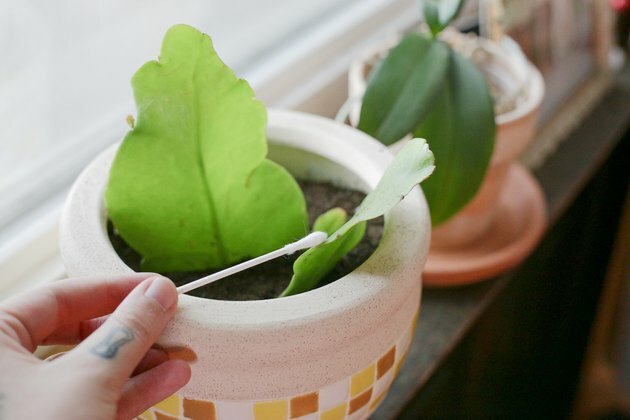 Remove the mealybugs by hand or dip a cotton swab in rubbing alcohol and dab it onto the bugs to kill them. Monitor the plant daily and remove or kill any new mealybugs until the pests are gone.